At the Animal Hospital of West Lake Forest, your pet's safety and comfort are our highest priorities during all surgical procedures. Whether your pet needs a routine spay or neuter procedure or requires a more complex soft-tissue surgical procedure, we can help. For more advanced and orthopedic surgeries, we may refer you to a local veterinary specialist. The veterinarians at the Animal Hospital of West Lake Forest have many years of experience performing a wide range of surgeries. 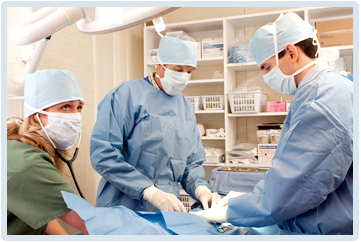 We are capable of performing spay/neuter procedures, abdominal exploratory surgery, cystotomy procedures, biopsies, gastrotomy procedures, and many other surgeries. We strive to make surgery as stress-free and comfortable as possible for you and your pet. Prior to surgery, your pet receives a complete physical exam; this exam helps us create an anesthesia protocol that's unique to your pet. The Animal Hospital of West Lake Forest uses modern anesthetic technology (including sevoflourane anesthesia) to keep your pet comfortable and pain-free during all surgical procedures. Advanced veterinary medical technology is used to monitor your pet's blood pressure, temperature, respiration, heart rate, and other vital signs. A skilled veterinary assistant is present throughout the surgery to monitor your pet's condition. Pain management is an important part of your pet's surgical protocol. The less pain your pet experiences, the faster he or she recovers. At the Animal Hospital of West Lake Forest, we practice the most up-to-date pain management protocols, utilizing a variety of techniques and medications to ensure your pet is as comfortable as possible. These include opioid analgesics, non-steroidal anti-inflammatories, local nerve blocks, laser therapy and more. Your pet receives pain management medication before, during and following surgery. 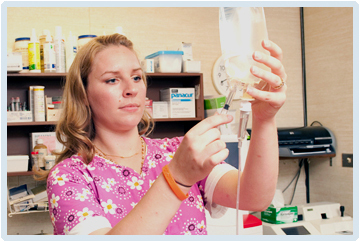 Additional pain medication is often sent home with your pet as well. If you would like more information about surgery for your pet at the Animal Hospital of West Lake Forest, please call us at (847) 234-2110 or send us an email today.